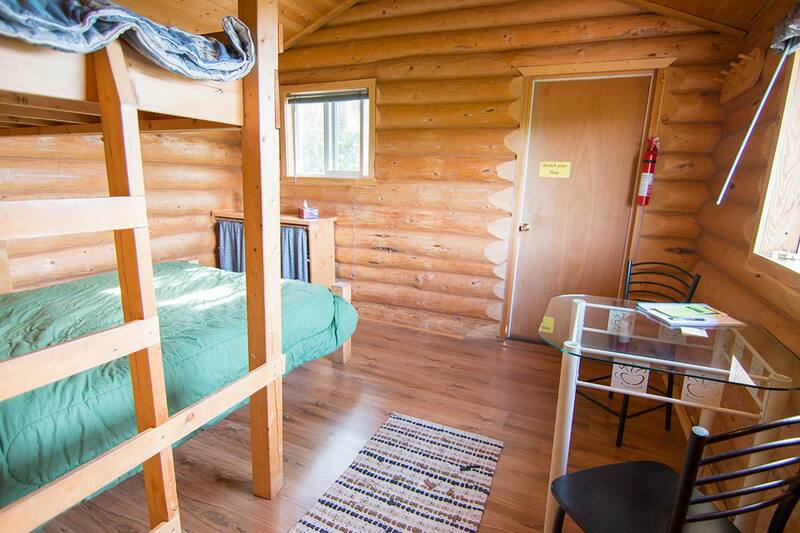 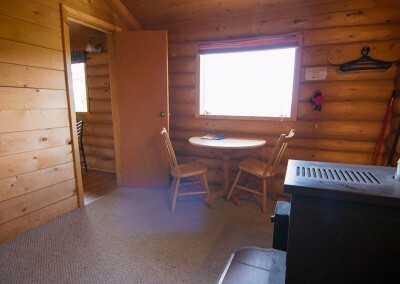 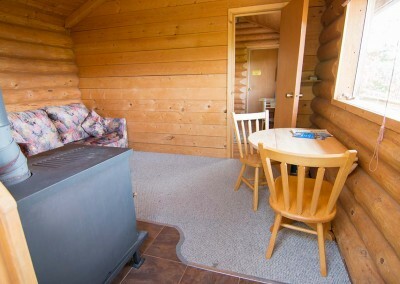 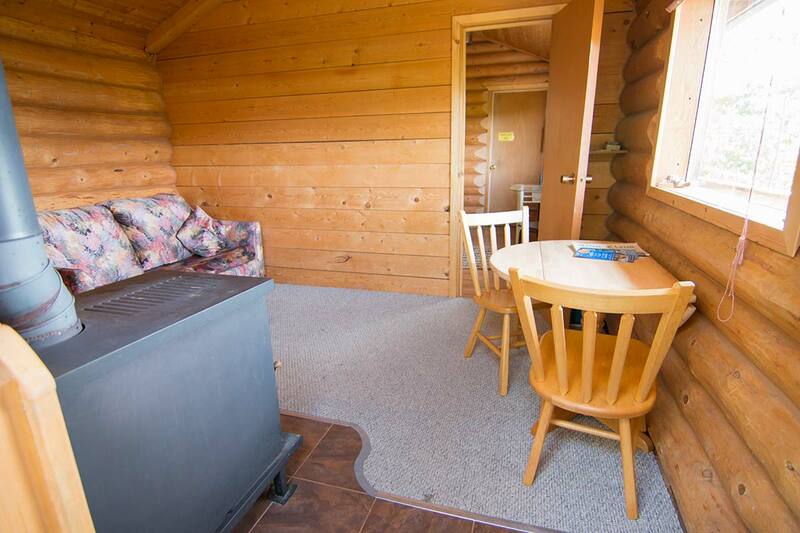 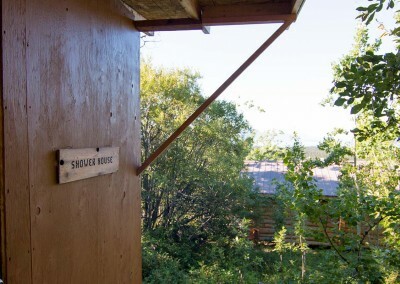 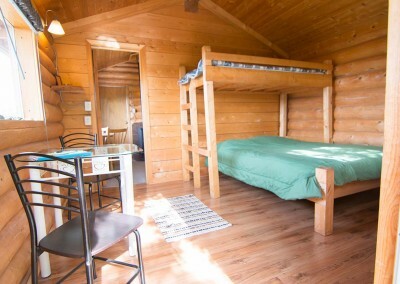 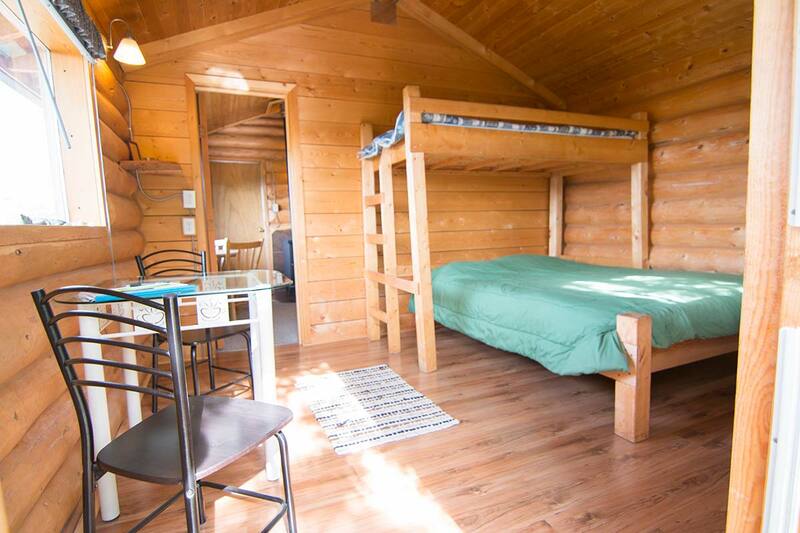 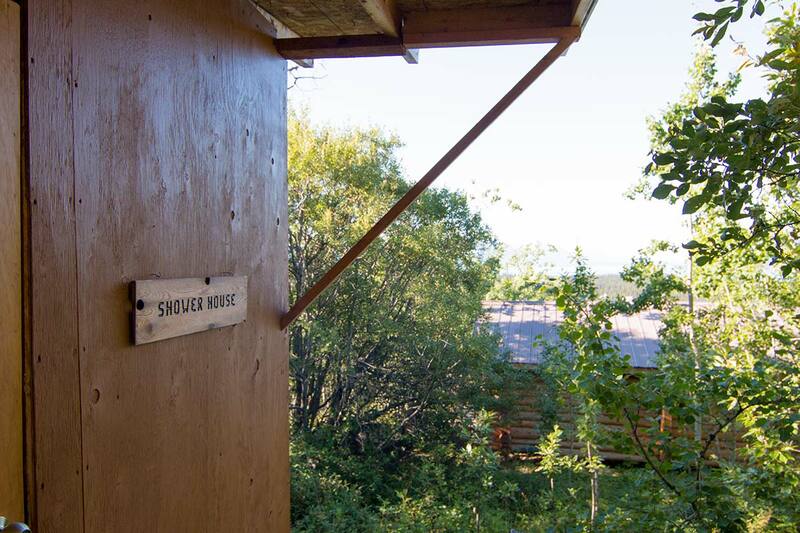 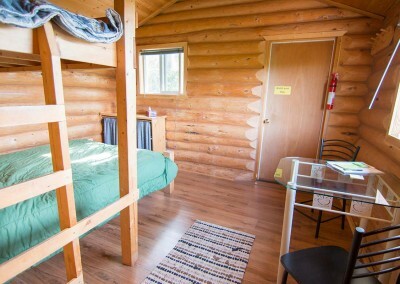 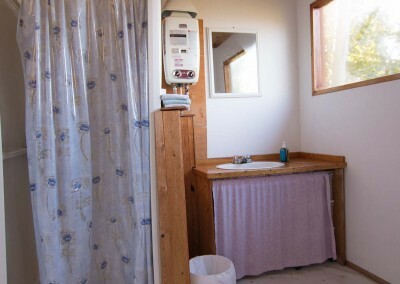 This cabin has a bedroom with a Queen sized bed and a cot. 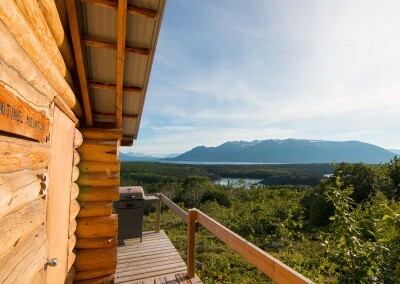 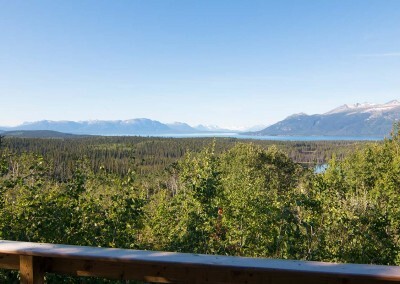 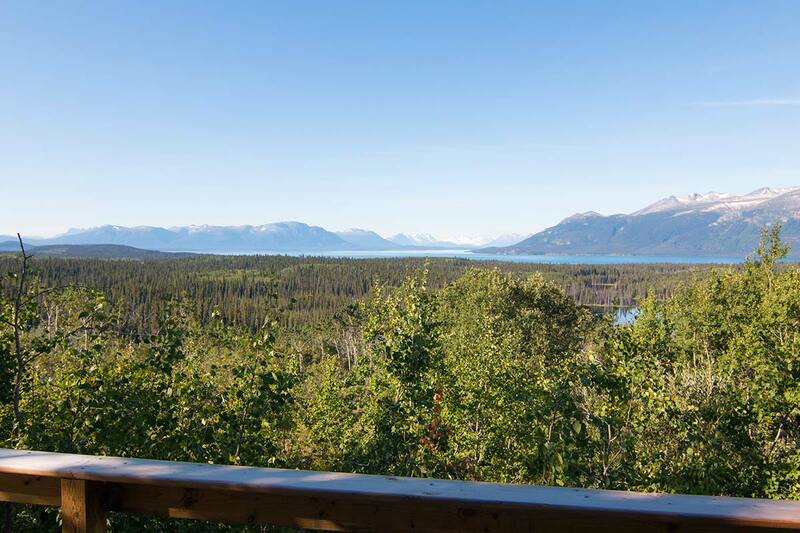 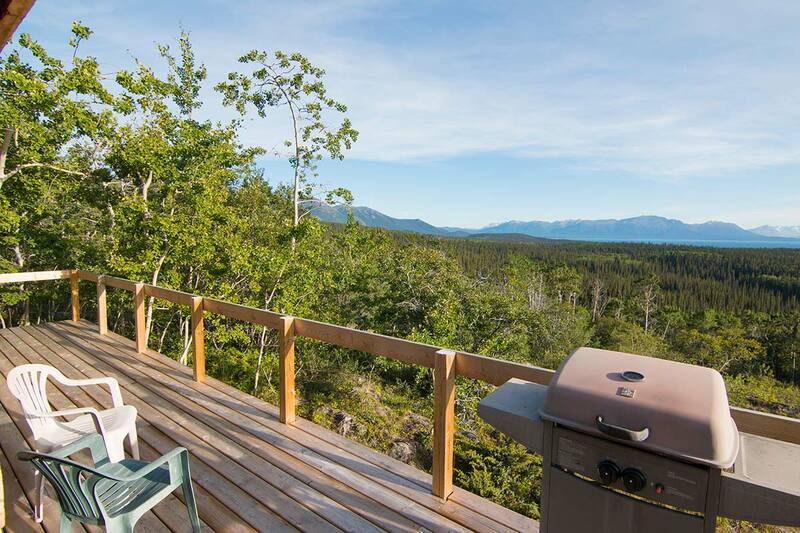 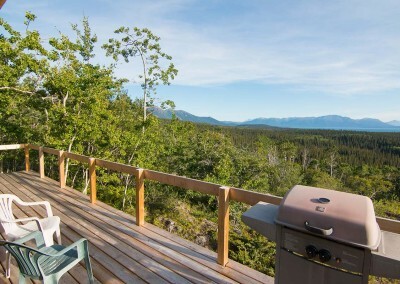 The kitchen/living area gives access to the porch with a grand view of mountains, lakes and glaciers and a propane BBQ for a relaxing stay. 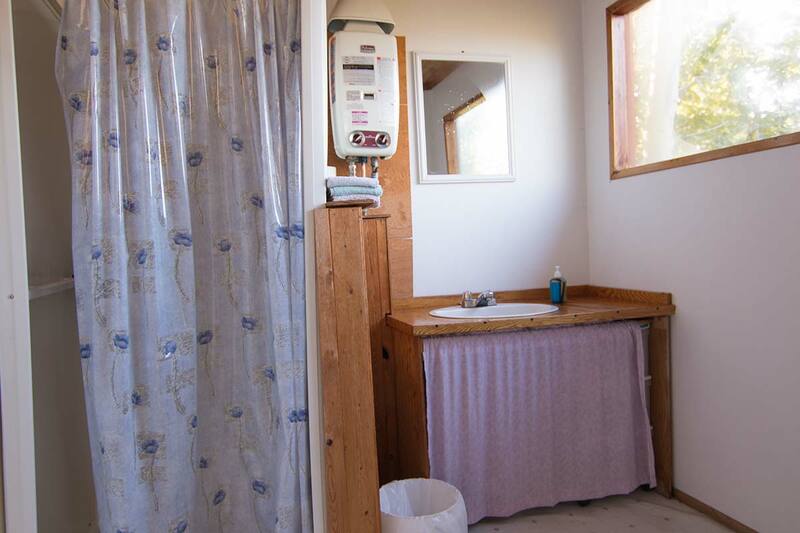 Dishes and linen are provided.